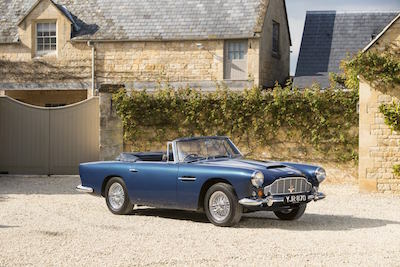 British automaker Aston Martins is teaming with auction house Bonhams to offer its most loyal consumers a piece of its history. 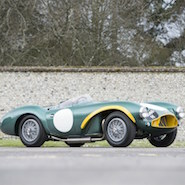 On Saturday May 21, Bonhams will hold an auction of Aston Martin vehicles headlined by the 1953 DB3S racecar. The ongoing partnership between the two brands is by now a staple of the automotive calendar. This is the 17th year that Bonhams will hold an Aston Martin sale, having not missed an opportunity since the first one in 2000. It will once again take place at Aston Martin Works in Newport Pagnell in Buckinghamshire, England. Aston Martin Works is the brand’s historic home and includes a heritage service and restoration facility holding vehicles dating all the way back to the brand’s 1913 beginning. Accordingly, the auction focuses on older, vintage Aston Martins. The 1953 DB3S is this year’s biggest prize and is projected to sell for between £6-7 million, or around $8.7-10.1 million. Other coveted Aston Martin vehicles, including the James Bond-driven DB10, have recently outperformed their estimates, suggesting that the vehicle could be auctioned off for an even higher price. The DB3S is one of only 11 work cars built for the World Sportscar Champisonship. It is notable for having been raced by Sir Stirling Moss, Tony Brooks, Peter Collins, Roy Salvadori and Reg Parnell, all icons of British auto racing, and competed at the Mille Miglia, Spa Grand Prix and Nürburgring 1,000kms. Joining the DB3S is a 1962 Aston Martin DB4 Convertible estimated to bring in upwards of $2 million and one of just five 1963 Aston Martin DB4 Series V Vantage Convertible with a right-hand-drive. 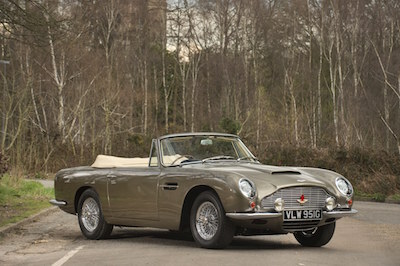 A DB5 Convertible from 1964 and the particularly rare 1968 Aston Martin DB6 “Mark I” Volante will also be auctioned. 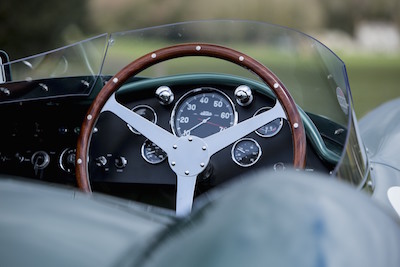 At 17 years running, the auction is by now an anticipated event on the calendar of Aston Martin enthusiasts as it offers them an opportunity to interact with and own a piece of the brand’s history, helping to cement or deepen ties. The visibility among Bonhams’ consumers also serves to educate a new consumer segment about the automaker’s history, ensuring that they are considered the next time the consumer is in the market for a sportscar. Those interested in bidding can register to do so on Bonhams’ Web site. Aston Martin’s rarest and most storied vehicles routinely find themselves as coveted lots. British automaker Aston Martin recently gave consumers one last chance to feel like James Bond. On Feb. 18, Christie’s celebrated the home video release of “Spectre,” the latest James Bond film, with a themed charity auction fronted by Aston Martin’s DB10. The auction gave Bond fanatics a chance to live their dream, while the spy’s popularity ensured hefty earnings for a good cause. Bonhams is a partner for automotive auctions to more than just Aston Martin. British automaker Bentley and Bonhams recently brought worlds together in the name of palliative and hospice care. The automaker and British pop art legend Sir Peter Blake created a unique vehicle, which Bonhams will auction off in June to raise funds for Care2Save Charitable Trust. Charitable endeavors always reflect well on participants, and this initiative allows Bentley a chance to show off its creativity and vision. “Classic cars and asset cars have outperformed many other asset classes—art-related, wine, whatever you might like, and certainly conventional assets,” Mr. Sproule said. “The classic car market has brought new customers in and that helps us because when you see the market of the brand reflected through very robust pricing, that helps reinforce the value of the Aston Martin brand.